*OME 2882 Front coils can be installed for extra front load, V6, bumper, winch, etc. 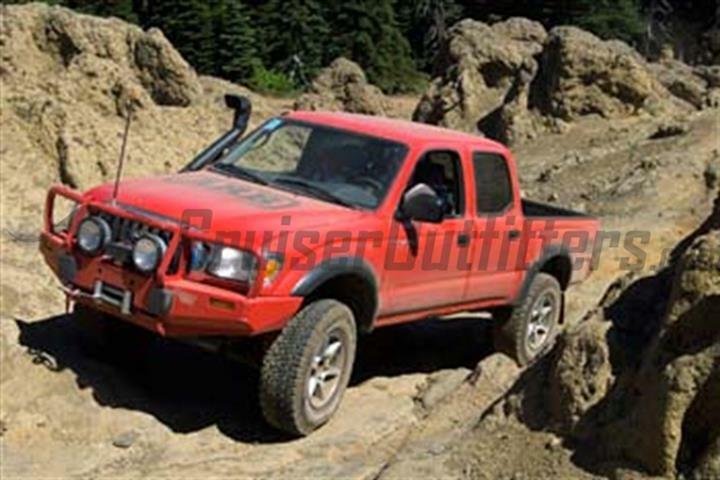 Cruiser Outfitters recommends sourcing new U-bolts for rear leaf spring installation. These are standard with our Ultimate kits and can be ordered separately. Fixed end of spring is equipped with Old Man Emu spring bushing. For Stock/Light Load applications, the 2nd leaf from the bottom of the rear leaf spring pack can be removed for improved ride comfort. OME CS046RA/B Rear Leaf Springs only fit post 1998 Xtra Cab and Double Cab models. All others require rear spring hanger relocation or CS019R/SB43 springs and bushings. Call for details. EMAIL FOR QUOTE - Please include your year and vehicle model as well as your shipping location.